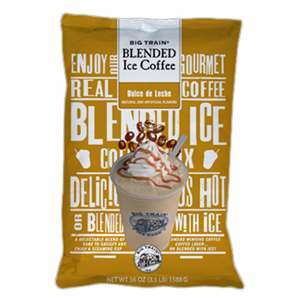 Big Train Blended Ice Coffee Chocolate Peanut Butter MixIf you love sweet cream and gourmet coffee drinks, then Big Train's Dulce De Leche Blended Ice Coffee has your name all over it. With Arabica coffee and the finest ingredients, this drink mix is as delicious as it is easy to make. 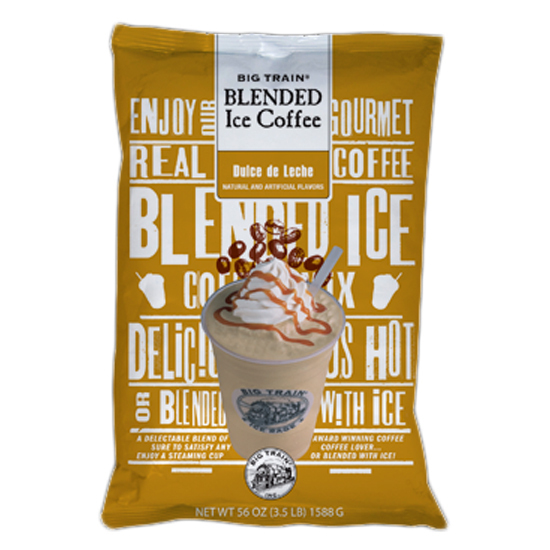 In addition to being gluten free, Big Train's Dulce De Leche Blended Ice Coffee contains no trans-fat, no hydrogenated oils and is Kosher and Halal Certified..